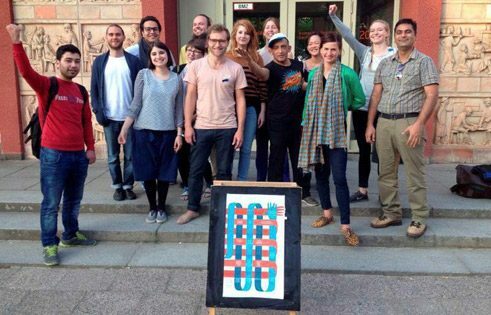 Knotting carpets by hand, programming apps, opening up new possibilities: with the Berlin initiative „Kommen und Bleiben“ (Come and Stay) designers and artists harness their resources to support refugees. 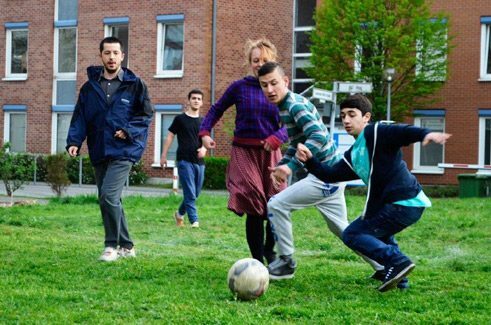 In so doing, they aren’t only shaping Germany’s immigrant-friendly culture but also rekindling the notion of political art. kommen&bleiben, Bermudagarten-Kickoff | Photo: kommen&bleiben, 2015 At any rate, whether when making products or creating social processes, having the right tools of the trade is an absolute must. In light of all the red tape and legal status obstacles, of language barriers and communication problems, this is something the students first had to set out to acquire. They also had to realize that refugees from Syria and Iran, from African countries or from the Balkan states all have very different living conditions and realities. „We have learned to assign roles and tasks, to obtain from outside sources the know-how we need, and to make decisions and stick to them,“ says Florian Huss, one of the project initiators. 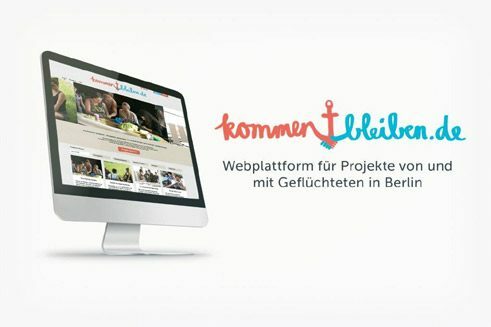 kommen&bleiben, Web platform | Photo: kommen&bleiben, 2015 In the meantime, „Kommen und Bleiben“ has been working on three specific projects. One of them is a smartphone app designed to answer practical questions for new Berliners. How do asylum procedures work? How do I open a new bank account? How do I go about finding an apartment? Florian Huss spent several days at a refugee shelter and, with the residents’ help, determined which questions to ask. The visual communications student wants to write his Master’s thesis on the logistics and financing required to code a new app. Another project currently in development is the „Kommen und Bleiben“ web portal. The platform, to be set up in eight languages, will link Berlin refugee initiatives to establish a network and facilitate direct contact among them. They can look for partners and resources for ongoing projects or to start new ones. An expert from Syria is in discussion to handle the programming. CUCULA, Libreira | © Verena Bruening Refugees have successfully launched the series of events entitled seeGewohnheiten for students. For example, an Iranian woman and teacher of handicraft techniques held a knotting workshop to show how to make carpets by hand and with little money. CUCULA, Gruppen-Werk | © Verena Bruening Plans are also underway for a workshop with Cucula, a start-up for furniture design. The company was founded in 2013 by Berlin artists and designers in collaboration with five West African refugees. 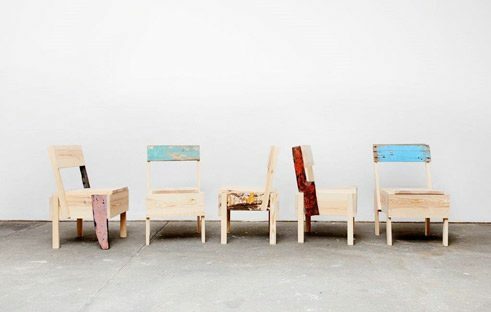 The handmade chairs and tables are proving very popular and Cucula already exhibits at the Milan Furniture Fair, at the DMY International Design Festival Berlin and at Berlin’s Museum der Dinge. Cucula’s pieces follow the philosophy of Italian designer Enzo Mari, who in 1974 published a user-friendly manual for ‘do-it-yourself’ furniture – social design for a better society. 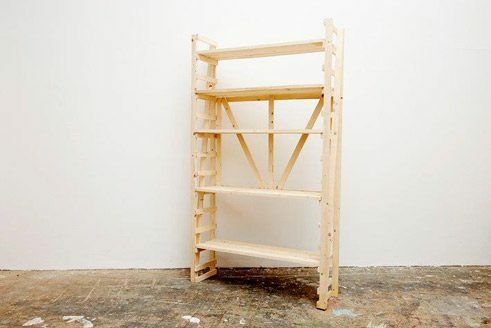 The Berlin furniture makers have now refined the concept to develop a new model for integration. The idea is to put skills and talent to work and flourish, instead of only "managing" refugees and forcing them to adopt a passive role. Cucula’s goal is to enable refugees to make a living with the income obtained both from furniture sales as well as from scholarships. CUCULA, Botschafter, Gruppen-Werk | © Verena Bruening In pursuing a very similar agenda, „Kommen und Bleiben“ is reviving the notion of political art. Devoid of any intent to criticize the system, „Kommen und Bleiben“ takes a very pragmatic approach: it is all about improving living conditions. „We want to focus on capabilities and opportunities, not on shortcomings or problems,“ Florian Huss points out. 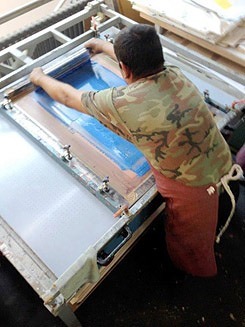 „Our art school is an educational institution with a great deal of resources. Refugees should have the chance to use our workshops and facilities, attend our university events or hold their own.“ A more creative campus, a more creative approach: this plan is a perfect fit for Berlin. After all, creativity is the city’s biggest asset. Elisabeth Schwiontek is a free-lance journalist in Berlin.